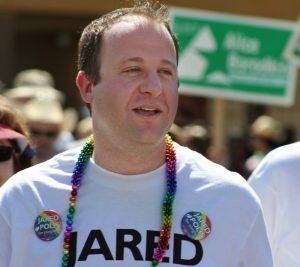 House Rep. Jared Polis is running for Colorado governor and will officially open his Grand Junction office this coming Saturday, January 6 at 10:00 a.m. at 421 Colorado Ave.
Polis is a new-age candidate. He is an entrepreneur who started several successful internet businesses. He is the first openly gay parent in Congress and a champion of education. Polis has served on the Colorado State Board of Education, and served a single six-year term until his district was eliminated. He created a foundation that gives annual Teacher Recognition Awards. In 2004, Polis established the charter school, “New America School,” a high school that primarily serves older immigrant youth ages 16–21. It has three campuses in the Denver Metro area, two campuses in New Mexico, and a campus in Las Vegas. In 2005, Polis also co-founded a charter school, the Academy of Urban Learning in Denver, to help youth who are at risk of becoming homeless or who are living in unstable living conditions. Polis is a champion of human and civil rights, believes in an open and free internet, legal marijuana and is the first candidate ever to accept campaign donations via Bitcoin, the world’s first decentralized digital currency. Come out Saturday morning and meet Jared. A word of caution. A political blueprint never works as well the second time around. It makes my heart soar to see that your insurgency took my advice to find a candidate that was not only popular but could also finance their own presidential campaign. Very much in the same way Donald Trump did. Maybe you’ve heard that you could turn the DNC upside down and shake them and you couldn’t find change for a quarter. Oprah is a good pick in much the same way that Bernie was. That’s the upside. The downside is that being thrown under the bus by treachery from the status quo, will work just as well the second time around. You know what they say, old age and treachery will overcome youth and enthusiasm every time.